HEALING POWER OF FAITH AND PRAYER: SOME RELIGIOUS PERSPECTIVES. The primitive man attributed disease, and in fact, all human sufferings and other calamities, to the wrath of (his self made) gods, the invasion of body or mind by evil ‘spirits’ and the malevolent influence of stars and planets. This concept of disease, in which ancient man believed, is known as the “Supernatural theory of disease”. As a logical sequence, the medicine he practiced consisted of appeasing gods & goddesses by prayers, rituals and sacrifices, using charms, amulets, pungent herbs etc. to protect himself against the influence of devils, demons and evil spirits. Medicine was dominated by magical and religious beliefs, which were integral parts of ancient cultures and civilization. According to Henry Siegerist, the medical historian, every culture had developed a system of medicine and medical history is but one aspect of history of culture. Dubos states that ancient medicine was the mother of sciences and played a large role in the integration of early cultures. It has been truly said that medicine was conceived in sympathy and born out of necessity and that first doctor was the first man and the first woman, the first nurse. The medicine man, the priest, the herbolist and the magician, all undertook in various ways to cure man’s disease and to bring relief to the sick, in an almost complete absence of ‘scientific’ medical knowledge. It would not be fair to say that the early practitioners of medical art contributed nothing to the alleviation of man’s suffering from disease. Medical knowledge, in fact, has been derived, to a very great degree, from the intuitive and observational propositions and cumulative experience gleaned from others. The so-called ‘Traditional healers’ are found everywhere, not only in the developing countries (70-80% people using in Asia, Africa and South America etc.) but also in the developed world (40-60%) even today. Recently (press note released on May 16, 2002 by WHO) the WHO launched its first global strategy on ‘traditional medicine’. Hippocratus (460-370 BC), often called the ‘Father of Medicine”, introduced new approaches and methods in medicine and taught it as an art. His famous oath, the “Hippocratic oath” has become the keystone of medical ethics. In Roman medicine, Galen (130-205 A.D.) was a great teacher who observed that disease was due to three factors - predisposing, exciting and environmental factors, a truly modern idea. The ancient Egyptian civilization also developed medicine. They invented picture writing and recorded their doings on papyri. Egyptian medicine was far from primitive. They believed that disease was due to absorption of harmful substances from intestine, which gave rise to putrefaction of blood and formation of pus. They employed a wide range of drugs, cathartics and blood letting. During middle ages the Europe was ravaged by disease and pestilence, plague, small pox, leprosy, tuberculosis, cholera etc. The practice of medicine reverted back to primitive medicine dominated by superstition and dogma. Rejection of body and glorification of the Spirit, became the accepted pattern of behavior. It was regarded as immoral to see one’s body, consequently people (and more so the ‘holy’ people) seldom bathed. This period is considered as Dark ages of medicine for Europe - a time of great strife; of socio-political change, of regression and progression. However, during this period, the Arabs rose to the new heights. Not only Graeco-Roman medical literature was translated into Arabic, but they also developed a system of medicine based on it the Unani system of medicine (Tibb-e-Unani) and produced great researchers, philosophers, writers and authors. In medicine, people like Abu Becr Rhazes (865-926) , Ibne Sina (980-1037 AD) (Avicenna) were the leaders in scientific analysis of diseases, pharmacy and surgical procedures. Avecinia’s 21-volume encyclopedia, the ‘Canon of Medicine’ was but one of many works to leave mark on medical theory & practice and pharmaceutical chemistry. The period following 1500 AD was marked by revolutions - political, industrial, religious and medical. The industrial revolution in the West brought great benefits leading to an improvement in the standard of living. With advancing degrees of civilization, medicine also evolved. Francastorius (1483-1535 AD), an Italian physician, enunciated the ‘theory of Contagion’. Andreas Vasalius (1514-1564) of Brussels did a lot of dissections on human body and raised the study of anatomy to a science. Apart from others, there were surgeons like Ambroise Pare (1518-90), of French army and John Hunter (1728-93). In 1540, the United Company of Barber Surgeons was established in England, which later on became the Royal College of Surgeons. The 17th and 18th centuries were full of exciting discoveries like circulation of blood (Harvey 1628) microscope (Leeuwenhoek 1670), microbes, vaccination against small pox (Jenner 1796) etc. Studies were done on epidemics of cholera, smallpox, plague, typhoid, role of vectors, and Public Health Acts were introduced for the control of man’s physical environment. The later and so called modern, periods are full of tremendous progresses and ‘break throughs’ discovery of insecticides, antibiotics, vitamins, hormones, synthetic methods to produce pharmaceuticals and chemicals, vaccines, psychotic drugs, surgical and microsurgical techniques, X ray & other scanning, endoscopy and laboratory aids. Every time it was thought that this breakthrough is going to be the victory point, but the zeal soon abated. Now a days, the ‘in business’ are genetic engineering, specialists and sub specialists, microsurgery, laser applications, diagnostic techniques etc. However in spite of tremendous progress, the state of affairs, in the world, especially for the common people, is pitiable. We still have old diseases, with stubborn strains, like malaria, tuberculosis, leprosy, viral diseases, venereal diseases, hepatitis, cancers, malnutrition and above all global infection of inhumanity, immorality, violence, sexual anarchy, nudism, AIDS and drug addiction. Most of the ailments are self-limiting and the body has the power to get rid of them. Animals, who are nearer to nature, know by instinct, how to treat their illness by using physical measures or by eating herbs. As man is progressing in knowledge, and scientific techniques, his instinctive and intuitive capabilities and internal vision are becoming dull and dim, because in the presence of so many aids and instruments, he hardly uses his inner illumination. The art of writing and recording has weakened the capabilities of memory. The abundance of comforts and luxuries tends to make man forgetful of Allah and Divine forces. The balance of faith (Tawakkal) and use of natural principles (Sunnatallah) gets upset, which need correction for healing. There has been tremendous progress in biological sciences and new and numerous ways of investigating, diagnosing and treating ailments are being discovered and improvised. No doubt these have helped in treating and controlling many diseases. Immediate results have been achieved but these have not been able to help the man in general; and secondary effects and late complications are becoming evident every day. The tragedy with modern science is that it takes everything materialistically. Man is considered to be a machine, consisting of assembled components, and for each, there are specialists and sub-specialists. Although specialization has led to great progress in knowledge, but these hair splitters ignore the fact that the hair belongs to a scalp, and scalp belongs to a living person and a person is influenced by a host of factors, his whole personality and environment etc. The disease has long been considered to be something external. The ancient man attributed it to attack by devils, demons, evil spirits and wrath of gods. Modern man blames the environment, climate, cold, heat, humidity, dehydration, living styles, pollutants, germs, viruses, changes in nutrition etc. These are all external in nature. Actually the illness is more internal than external. It generates from within and is influenced by the external factors. The psyche, family background, beliefs, environment and genetic make up (now every disease is being linked with ‘defective’ genes which they will `correct` and may cause other problems) all are held to influence the emergence of disease from within. When the body suffers, the intellect and the spiritual inside of the person also suffer and vice versa. The ailment, whether local or general, the physical body reacts to it under the influence of one’s nature, inborn qualities, environment and mental make up. When an organ or body is attacked by something external-mechanical, chemical, thermal or infective, the body responds with circulation of more blood, increase in white (fighter) blood cells, producing antibodies and necessary chemicals and hormones. There is permeability of small blood vessels (capillaries), which increases accordingly. The local temperature is raised and the battle between the invaders and defenders is fought till invader is killed, eliminated, walled off or controlled. In injuries, contraction of blood vessels and clot formation tend to stop/reduce bleeding. This is all due to inborn auto-corrective system of natural defense and not due to drugs (drugs may help but cannot initiate the process). Same is true of general infections and other agents. Allergic response is an exaggerated expression of immunity or defense. Now, let us consider the effects of mental or emotional influences like fright, anger, hatred, tension, pleasure or delight. We shall find the face becoming red or pale, muscles or features becoming tense or flaccid, trembling, fainting, palpitation, rapid breath, perspiration, frequent need to go to latrine (micturation or defecation), dry throat, vomiting, griping, indigestion, imbalance of hormones etc., are all expressed in bodily or physical symptoms and signs. Thus in human body, changes occur due to both mind and body. Even a thought can trigger physical changes. Thus the effectiveness of an agent is greatly influenced by one’s personality, family characteristics, mental make up, character, religious back ground, mode of life, environment, one’s attitude toward the aliment and confidence in treatment. The truth cannot be denied that every living being has metaphysical factor or aspect. Man, no doubt, is the most superior creation of Allah, but is also weak in its nature (man was created weak; Quran 4; 28). On one hand, he may be brave, strong and daring enough to face any hardship and resist any force, may be able to land on moon and traverse space and walk undaunted with suicidal bombs. On the other hand just a phone call may make him run from his own place of work or dwelling. Right from the earliest history, we see him getting so terrified from darkness, thunderbolt, certain sounds, other animals, plants, fire, rivers, unseen (supposed) good or evil forces etc. that he started worshipping these and made every effort and sacrifice to please them. He wants strength or support which gives him confidence, may it be by prayers, sacrifice, tokens, amulet, charm, taweez, magic, wazeefa or chanting slogans, branding face or body with sacred signs (Hindus, African Tribes), “atomic” ring or bangle, stone etc. People get well by even conflicting methods of treatment. In homeopathy, the principle is to treat with the same, whereas is allopathy, it is to treat with opposite or antagonists. In clinical trials, it is observed, that most patients tend to respond in a positive way to any therapeutic intervention by interested, caring and enthusiastic medical personnel or therapist. The manifestation of this phenomenon in the subject is the ‘placebo response’ (=Latin: “I will please”), and may involve objective, physiologic and biochemical changes as well as changes in subjective complaints associated with the disease. It is usually quantitated by administration of an inert material with exactly the same physical appearance. The magnitude of response varies considerably from patient to patient. The incidence of placebo response is usually 20-40%. In any therapy, to impress the patient and gain his confidence and faith, the personality of the therapist, his turn out (early traditional therapists wore special robes with horns in cap, bones and stones worn in the neck, painted faces, reddened eyes), his way of talking, claims, environment of the place/office/hospital, use of special atmosphere (smoky room with “Aud”, “Umbar”, “Ajwain”, Camphor, Sandal wood) his way of dealing and communication, all have a basic role to play in the emotional and intellectual attitude of the patient. Prayer, confidence and belief work in the body to improve the balance and aid in healing. If we respond to Real Ruler and Controller of All Causes and Effects, we can gain great results. Healing is from Allah Almighty and we are just an instrument of the Healer. The doctors give the same medication to two different patients with the same type of aliment or perform similar operations on two patients otherwise at the same risk. One may survive and the other may not. It is more than just chance or ‘luck’. As Socrates puts it; “I dress the wound and God heals it.” Prophet Abrahim also acknowledged it; “and when I fail ill, it is He who cures me”(Quran 26:80). Allah attests it by saying: “If God touches thee with an affliction, no one can remove it but He” (Quran 6:17). Dr. Larry Dossay, in his book, ‘The Healing Words’ has documented the healing effects of prayer. Citing one example form the research conducted by Dr. Byrd at San Francisco General Hospital in 1988, 393 critically ill heart patients, admitted in the intensive care units, over a 10-month period were divided into two groups. Group A were the patients who were prayed for by name, till they left the hospital. Group B were not prayed for. The prayer makers were not told how to pray. The results were very interesting. Those who were prayed for, left the hospital early, had less cardiac arrest, 2.5 time less incidence of congestive heart failure and required 20% less antibiotics. They also observed that prayer combined with loving care worked even better. Men who had angina pectoris and a loving caring wife, reported 50% more reduction in attacks of angina than men who were single or divorced. Prayers work for us even while we are sleeping. Prophet Muhammad (P.B.U.H.) advised us to say prayers from Quran (Surah Ikhlas, Al-falaq, Annas :112, 113, 114.) and/or last verse of Al-bakarah (2:286) before going to sleep. It has also been felt by non-religious thinkers like Adler and Jing, that no patient (esp. fuctional or psychic) can be said to be healthy, unless he or she has a link with the supernatural Supreme Divine Power. According to A. Shariati (Man and Islam), even though the human being’s body is composed of base earthly material, the human being carries something within his or her spiritual being that is not to be found any where else in the created universe - a spark of the Divine Spirit itself. This Divine Spark is something that even the angels do not possess. Such a two-dimensional being needs a religion, which can protect him from swinging to either asceticism (self denying) or total worldliness and continuously keeps him at an equilibrium. Islam caters to both the worldly needs of the human existence on earth and the heavenly aspirations of human spirit. The ailment, therapist and the person to be treated and the treatment prescribed (in any form), all of them are in the direct governing power of Allah. He is the Sole and Supreme Directing Force. His Powers are beyond our imagination. As Allah is omnipresent and omnipotent, and we are always present in His sovereignty, we must remember this every moment and in every matter and start every thing in His name and invoke Him to give us strength and success. Words are the body of meaning, therefore they become powerful tools to invoke blessings and gracious mercies. Allah heeds to those who call for Him (Quran 2; 186). “Your Lord says; “Call on me and I will answer your call” (Quran 40; 60). “Remember Me, I will remember you; thank Me and reject Me not”(Quran: 2:152). “Those who believe and whose hearts find satisfaction in remembrance of Allah, for without doubt, in the remembrance of Allah do hearts find satisfaction. (Quran 13:28). “Such are those who remember Allah, standing, sitting and reclining. “ (Quran 3:191). “O you who believe, seek help with patience and prayers, as Allah is with those who patiently persevere (Quran: 2:153) etc.etc. Zikr or meditation/remembrance practiced by Sufi sheikhs, apart from spiritual effects, also acts by calming effects of rhythm (such effect of some degree are also seen in music, rocking, yoga, meditation or “maraqba”) and by production of endorphins (endogenous peptides) in the body, which have opioid analgesic characteristics. Recitation of Quran and Zikr of Asma-ul-Hasna, especially loudly, according to Dr. Shahid Athar, Associate professor, Indiana University Medical School, not only has direct healing effect on the sick, but also effects by medical benefits of Echo. The miniaturized version of Echo is used in medicine to break kidney stones (lithotripsy), gall stones and even vegetations on valves of heart (subacute bacterial endocarditis). It is postulated that Echo Target of ALIF LAM MEEM is in the heart and of YASEEN in the pituitary gland of the brain. Prophet Muhammad, (P.B.U.H.) used to comfort the sick, when visited them, and pray with the following prayers for the sick:. I find it to be very important for a believer to always remember that the real cure for all illnesses is from Allah. In the last two years, I have seen a very dear friend in his mid 40s suffer from cancer. He went through all the pain of chemotherapy, and for a while his condition improved. He had a very strong faith and was very patient, and despite the pain he managed to keep his job, working from home at times or from the office when he felt better. Last year he went to Umrah, and in Makkah he drank from Zamzam water, and when he returned, his condition improved for a while. A few months later, the cancer spread to other parts of the body, and he passed away earlier this month. It was very sad, especially that he had four young children, but at least he was finally relieved of the pain. From a scientific point of view, is there a secret with the water of Zamzam? Do you know if it different from other regular river or underground water? I immediately thought that this was just a form of prejudice against the Muslims and that since his statement was based on the assumption that since the Ka'aba was a shallow place (below sea level) and located in the center of the city of Makkah, the wastewater of the city collecting through the drains fell into well holding the water. They deputed a man to give me whatever help was required. When we reached the well, it was hard for me to believe that a pool of water, more like a small pond, about 18 by 14 feet, was the well that supplied millions of gallons of water every year to hajis ever since itcame into existence at the time of Hazrat Ibrahim A.S., many, manycenturies ago.I started my investigations and took the dimensions of the well. I asked the man to show me the depth of the well. I thought of another idea. The water could be withdrawn rapidly with the help of a big transfer pump which was installed at the well for the Zumzum water storage tanks. In this way, the water level would drop enabling us to locate the point of entry of the water. Surprisingly, nothing was observed during the pumping period, but I knew that this was the only method by which you could find the entrance of the water to the well. So I decided to repeat the process. But this time I instructed the man to stand still at one place and carefully observe any unusual thing happening inside the well. After a while, he suddenly raised his hands and shouted, "Alhamdollillah! I have found it. The sand is dancing beneath my feet as the water oozes out of the bed of the well." Zumzum water's appeal has always been universal. This water has never been chemically treated or chlorinated as is the case with water pumped into the cities. Biological growth and vegetation usually takes place in most wells. 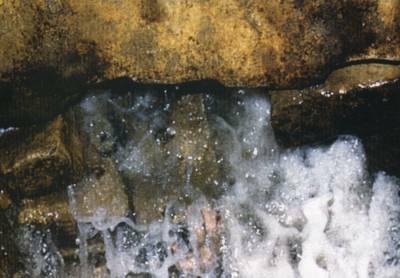 This makes the water unpalatable owing to the growth of algae causing taste and odour problems. Allah Taala has made all living creatures out of water. People require water for almost for everything but not all water carries the same value and significance. Muslims refer to the water of Zamzam as something revered and unique. They crave this mysterious liquid and love to drink it whenever they can. And for those who managed to go to the Hajj, they return home carrying it for thousands of miles as a prized possession and to give as special gift to their friends and families. So what is so special about Zamzam water ? In a word: Everything! There is nothing ordinary about it. The miracle of how it came to being in the middle of a desert, its consistency throught out 1000s of years, the beneficial qualities it has, the fact that it never dries up. This water is special. The fact is, this small and only 5 ft deep well is far away from any other source or body of water. It is self replenishing. It is constantly replenishing itself in order to produce gallons upon gallons of water for the consumption of thirsty pilgrims plus the additional amount that is bottled up and also the amount that is taken as gifts and distributed worldwide to millions. SubhanAllah! It is also an established scientific fact that pools orwater wells tend to grow vegetation such as algae– especially in warm climates. Amazingly this is not the case in the well of Zamzam. It has remained free from bilogical contaminations. Zamzam is the name of a famous well in al-Masjid al-Haraam [the Sacred Mosque in Makkah], which is thirty-eight cubits away from the Kabah. It is the well from which Allah quenched the thirst of Ismaaeel the son of Ibraaheem (peace and blessings of Allah be upon them both) when he was an infant. His mother (Haajra (peace and blessings of Allah be upon her) looked for water for him, but could not find any. She climbed to the top of Mount al-Safaa, praying to Allah to help her and give her water for Ismaaeel, then she climbed to the top of Mount al-Marwah and did the same. Allah sent Jibreel (peace and blessings of Allah be upon him) , and he struck the earth, and water appeared. The scholars (may Allaah have mercy on them) agreed that it is mustahabb (recommended) for pilgrims on Hajj and Umrah in particular, and for all Muslims in general, to drink Zamzam water, because of the saheeh hadeeth in which the Prophet (peace be upon him) is reported to have drunk the water of Zamzam. (Reported by al-Bukhaari, 3/492). According to the hadeeth of Abu Dharr (may Allaah be pleased with him), the Prophet (peace be upon him) said concerning the water of Zamzam, “It is a blessing, and it is food that satisfies.” (Reported by Muslim, 4/1922). Al-Tayaalisi added, in a version that he narrated: “and a cure for the sick. – but this is when he drinks it with faith and sincerity, as proven in the hadeeth of Abu Dharr al-Ghifaari who stayed in Makkah for a month without any nourishment except Zamzam water. The two angels washed the heart of the Prophet (peace be upon him) when he was a child, after they had taken it out, then they put it back. Al-Haafiz al-Iraaqi (may Allaah have mercy on him) said: “The reason why the Prophet chest was washed with Zamzam water was to make him stronger so that he could see the kingdom of heaven and earth, and Paradise and Hell, because one of the special qualities of Zamzam is that it strengthens the heart and calms the soul. 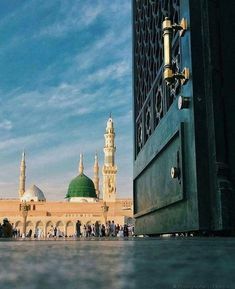 The report about the chest of the Prophet (peace be upon him) being washed with the water of Zamzam is proven in the hadeeth of Abu Dharr (may Allaah be pleased with him), who reported that the Prophet (peace be upon him) said: “My roof was opened when I was in Makkah, and Jibreel (peace be upon him) came down and opened my chest, then he washed it with Zamzam water. Then he brought a gold basin full of wisdom and faith, poured it into my chest, and closed it up again. Then he took me by the hand and ascended with me into the first heaven.” (Reported by al-Bukhaari, 3/429). It is sunnah to drink ones fill of Zamzam water and to quench ones thirst.The fuqaha have mentioned the etiquette that is mustahabb (recommended) when drinking Zamzam water, such as facing the Kabah, saying Bismillah, pausing to take a breath three times, drinking ones fill, praising Allaah after one finishes As regards the hadeeth of Ibn Abbaas (may Allaah be pleased with him), who said, “I gave the Prophet (peace and blessings of Allaah be upon him) Zamzam water to drink whilst he was standing,” (reported by al-Bukhaari, 3/492), it is taken to mean that it is permissible to drink zamzam whilst standing; showing the utmost respect. The scholars also recommended that the person who drinks Zamzam water should sprinkle some of it on his head, face and chest, make lots of duaa when drinking it, and to drink it for a purpose that will benefit him in this world or the next, because of the hadeeth in which the Prophet (peace and blessings of Allaah be upon him) said: “The water of Zamzam is for whatever purpose it is drunk for.” (Reported by Ibn Maajah, 2/1018; see Al-Maqaasid al-Hasanah by al-Sakhaawi, p. 359). Some fuqaha recommended that people should take some Zamzam water back with them to their countries, because it is a cure for those who seek healing. Aaishah (R.A.) reported that she took Zamzam water home with her in bottles, and said, “The Messenger of Allaah (peace and blessings of Allaah be upon him) took some of it away with him, and he used to pour it on the sick and give it to them to drink.” (Reported by al-Tirmidhi, 4/37). It was reported in Saheeh Muslim that the Prophet (peace and blessings of Allaah be upon him) said to Abu Dharr, who had stayed near the Kabah and its coverings for forty days and nights with no food or drink other than (Zamzam): “How long have you been here?” Abu Dharr said: “I have been here for thirty days and nights.” The Prophet (peace and blessings of Allaah be upon him) said, “Who has been feeding you?” He said, “I have had nothing but Zamzam water, and I have gotten so fat that I have folds of fat on my stomach. I do not feel any of the tiredness or weakness of hunger and I have not become thin.” The Prophet (peace and blessings of Allaah be upon him) said: “Verily, it is blessed, it is food that nourishes.” (Narrated by Imaam Muslim, 2473). The Prophet (peace and blessings of Allaah be upon him) said: “The best water on the face of the earth is the water of Zamzam; it is a kind of food and a healing from sickness.” (Saheeh al-Jaami’, 3302). It was reported that the Prophet (peace and blessings of Allaah be upon him) drank it, did wudoo with it and poured it on his head. He used to carry Zamzam water in small vessels and large containers in order to pour it on the sick and give it to them to drink. (al-Silsilat al-Saheehah, 883). One of the Sahaabah said: we used to call it al-Shabbaaah (satisfying) and it helped us to take care our families (ie. it was filling and helped them to do without food, it was also sufficient to nourish children). (al-Silsilat al-Saheehah li’l-Albaani, 2685). Since Zamzam water serves whatever purpose and intention for which it is drank; provided it is with sincerity: The scholars and the righteous have tried this and they drank from it with the intention of fulfilling their needs and seeking cure for the sick or relief from poverty or catastrophe and surely Allah eased for them achieving their needs. So next time when one gets the opportunity to drink Zamzam, one should grab the opportunity to pray for: a healthy body, sharp mind, forgiveness for sins, life in Jannah after death, an honorable death on the day of Jummah, and all one’s physical and spiritual needs of this world and Hereafter. “Scientific Miracles in Islam & Sunna Nabawiyya” By, Mohammed Kamil Abdel Samad. How good is natural honey for one's health, from a scientific point of view? interesing forum even though I am a sikh. Honey: The Antibiotic of the Future! In the Qur'an, Allah says that in paradise will be "rivers of honey pure." "Then to eat of all the produce (of the earth), and find with skill the spacious paths of its Lord: there issues from within their bodies a drink of varying colors, wherein is healing for men: verily in this is a Sign for those who give thought"(16:69). Although honey's healing benefits were known to Muslims more than a thousand years ago, scientists are just now beginning to research it's amazing powers. Indeed, Peter Molan, biochemist at the University of Waikato (New Zealand) has - for the past 17 years - researched into the healing properties of honey and has shown scientifically that all honeys have varying degrees of such properties (Molan, p.1). Honey contains many minerals and vitamins beneficial to man. However, one of the most important properties seems to be its antibiotic action. Each drop of honey contains many minerals ( potassium, sodium, phosphate, copper, iron, calcium, manganese ), enzymes, trace elements, vitamins (A, B1, B2, B3, C, D, K), as well as beta-carotene. Honey also contains glucose, fructose and saccharine (70%) and is very preservative just by itself (billybee.com). Of course honey from a supermarket, which has been heated and filtered, may not be as therapeutic as one taken directly from the comb (Ifas, p.4). Molan's favorite story about honey makes reference to a 20-year-old wound in a British woman. Bacteria had been festering in an abscess in her armpit for years, resisting all the antibiotics she had taken. Nothing seemed to help her and she could barely use her arm. In August 1999, she heard about honey's healing effects and convinced her doctors to put some in her dressing. At that point they were willing to try anything and were not very hopeful that anything would work. However, they were quite surprised when one month later the wound finally healed and the woman could use her arm again. Since then, honeys have been tested on the different species of bacteria responsible for wound infection (Molan, p.2). The State Medical Society of Wisconsin announced," It is only a matter of time before antibiotics lose their effectiveness because their overuse creates ever-stronger germs." Thus, we may have to go back to the to the old fashioned remedy. However, "old fashioned", is not as bad as it sounds. Effectively, the potency of honey was found to be superior to all types of antibiotics. Two years ago, Australia approved honey as a medicine and began selling it in pharmacies (Whichman, p.1). Honey is now known for its antibiotic, antioxidant and antiviral capabilities. In fact, honey contains an enzyme that produces hydrogen peroxide, which is believed to be the main reason for its anti-microbial activity. If one wants to use it as a dressing, the best way is to use sterilized honey. However, the only way to sterilize honey without destroying its antibacterial agents is through gamma-irradiations. Honey is also used for sore throats, colds, heartburn, fever blisters, cuts, acne, skin disorders, ulcers, stomach inflammations and cataracts… and its flavor excites the appetite (The National Honey Board). The nectar, being made of glucose and fructose, is very attracted by water. When put on a wound, it absorbs water and body fluids, taking and destroying bacteria and inhibiting their growth too. Of course raw, unprocessed honey, which is usually darker, has the most medicinal and nutritional value and is even the most flavorful. Particularly active, Manuka Honey from New Zealand has all the healing antibacterial properties of other honeys, with some additional components. "All honey is not created equal, however certain types such as "active" Manuka from New Zealand and perhaps Honeydew from Central Europe are more effective for infections," says Molan (Molan, p.2). While the healing properties of honey may be news to modern science, Prophet Mohammad (saws) commented on its value 1400 years ago. Indeed, once a man came to the Prophet and said, "My brother has got loose motions." The Prophet said to him, "Let him drink honey (Bukhari)." Furthermore, the work of Molan has provided substantial evidence that honey holds promise in the treatment of peptic ulcers and upper gastroenteritis disorders. Despite its high acid concentration, the nectar is very digestible and tones the kidneys. The Prophet (saws) also said, "If there is any healing in your medicines, then it is in cupping, a gulp of honey or branding with fire (cauterization) that suits the ailment, but I don't like to be (cauterized) branded with fire." Indeed, honey also nourishes, regulates and purifies blood circulation. Its fructose is the only natural inert sugar and it goes straight into the blood, nourishing nerves and providing the brain with extra energy. In case of first-degree burns, "the raw wild flower honey formed a flexible protective barrier which prevents infections, absorbs pus and reduced pain, irritation and odor" writes Leigh Broadhurst (Healthwellexchange.com). A Romanian doctor stated that he tried honey on cataract patients, and 2002 of his 2094 patients recovered completely (Islamweb.net). Another function has been found for honey too: an Oklahoma allergist has said that raw honey is an excellent treatment for 90% of all allergies. A person who is suffering from an allergy to a certain plant should eat honey made from this plant (Reallyrawhoney.com). Honey can also help heal Tinea, for it has anti-fungal activities; but not many species of fungi have been tested. Mycoses are quite difficult to treat, for they need both anti-fungal and antibacterial treatment. However, Manuka honey showed that its hydrogen peroxide factors inhibit the growth of fungi. Although, the concentration of honey needed to treat Mycoses is higher than that needed to treat bacteria (Molan, p.3). However, paradoxical, sweet honey can also protect the teeth. Its anti-microbial activity has been tested on several species of dental plaque bacteria. A study shows that honey has been proven to sharply reduce acid production, thus killing the bacteria responsible for dental caries. Researchers believe that it also makes a difference in fighting inflammatory infections of the gums (Cbshealthwatch.com). One Companion of the Prophet reported, "In our holy battles, we used to get honey (Bukhari)." According to what we now know, this was a logical choice for travelers and soldiers, as honey is a supersaturated sugar and is easy to digest because of the monosaccharides; it is also a superior antibiotic. The natural carbohydrates contained within honey, when combined with proteins, help maintain a good glycaemia - which is important for recovering after a hard-days efforts. By maintaining a good glucose level, honey also maintains a good insulin level and helps people to avoid hypoglycemia. Some studies showed that this nectar could thus boost endurance performance in athletes (Cbshealthwatch.com). However, although honey is a very safe and natural remedy, it should not be given to infants under one year-old. Honey is a source of bacteria spores that product a toxin which can cause infant botulism, even though it is rare (a risk of botulism exists in the ingestion of any uncooked food!). Botulism is a rare disease that affects the nervous system and can lead to palsy. Nevertheless, it can still be use as a dressing for burns and cuts (Manukahoneyusa.com). "And your Lord taught the honey bee…" (16:68). This verse explains the excessive production of the bees. They have been taught to produce not only for themselves but also for human beings! The excellent organization within the hive is also proof of this "teaching." So, honey should be the first choice in cases of health problems as it is natural and has a high nutrient value; it does not have the side effects of drugs and is more affordable than most other kinds of therapy. Molan, Peter, MD. "Honey Research." Sahih Bukhari. "Book of Medicine." Ifas. " APIS Newspaper. " University of Florida. August 2000. Whichman, Julie. "Honey." Health Watch . Vol 21:12. March16 2000. Could it be used as an ingredient for new flu vaccines, I wonder? What other medical hints would you recommend? All praise is due to Allaah, Lord of the worlds. May peace and blessings be upon the Messenger of Allaah, his household and companions. Fellow Muslims! This world is an abode of trials in which no man is safe from an illness that disrupts his life or weakens him. Afflictions are however a blessing; for our Lord showers mercy through trials and tries some with blessings. Bitterness of this world for the believer is the real sweetness of the Hereafter for him. Many a blessing given to a man has been a source of his illness and many a deprived person has been healed through his depravity. One of the most severe tests is to deprive a man of his health. The best individuals among men have been afflicted with diseases. Ibn Mas’ood entered upon the Messenger of Allaah, while he was suffering from an illness and he said, “O Messenger of Allaah, you are seriously suffering from an illness”. The Prophet said, “Yes, I am suffering from an illness as two men among you would do.” (Al-Bukhaaree and Muslim). Prophet Ayyoob was also overwhelmed with disease for years. Brethren in Faith! Suffering illness exalts one’s degree and erases one’s sins. The Messenger of Allaah said, “No Muslim is afflicted with a disease or other affliction except that his sins are removed from him as leaves fall of a tree.” (Al-Bukhaaree and Muslim). The sick person will have the reward of what he used to do when he was healthy, written for him in his sickness even if he does not do them. It is during the illness that a believer increases in eemaan, dependence on Allaah and having good opinion of Him. It is also the healing for heart diseases like arrogance, haughtiness, heedlessness and self-deception. The guided Muslim learns lessons from trial of his time, for all afflictions that is not in one’s religion is well-being. It is the marvelousness of this creation that calls non-Muslims to Islaam and increases the eemaan of the believer. Let the doctor then take his job as an act of worship by reflecting on the blessings of Allaah. Let him be a propagator of this religion by what manifests to him of the greatness and perfection of Allaah’s creation. O doctor, be conscious of Allah in all that you say and do. For your word is taken as far as diseases are concerned and your opinion is followed. The sick person is afflicted by Allaah for a wisdom by which He wants to exalt him and purify him. Do not therefore disdain him because of his illness. If a doctor behaves arrogantly with his knowledge, Allaah will relegate him. It is wise for him to say about things of which he has no knowledge, “I do not know”. For there are some diseases the cure of which Allaah has removed its knowledge. Be gentle with the patient and do not feel inconvenienced with his complaints or rudeness. Give the patient good tiding that he will soon be alright, for Allaah loves optimism. The Muslim doctor should be sincere in his work; for it is by sincerity that ones work is blessed . He should endeavor to know the new things in his profession for the service Islaam and Muslims without neglecting any of all that the Sharee’ah teaches. The Muslim doctor is entrusted with the secrets of the patients. Let him protect that and not reveal it and let him treat them with compassion and kindness. Fellow Muslims! No one cures but Allaah and no one removes afflictions but Allaah. The medicine and the doctor are only means by which Allaah facilitates the healing. Therefore, make use of the means and use only lawful medications. Do not have total reliance on the doctor for none is capable of causing you any harm or benefit except Allaah. Put your trust in Allaah and submit your affairs to Him, for He is the One Who brings benefit and causes harm. Know that if the whole nation are to be gathered in order to benefit or harm you, they can not do any benefit or harm to you except only by which Allaah has decreed for you. The most useful medicine is however total reliance on Allaah, taking refuge with Him and having good opinion of Him. There are however some diseases that cannot be cured except with the Qur’aan and the Prophetic invocations. Muslims also possess blessed water that is the noblest of all waters and the highest in esteem. It is Zamzam water that springs from the blessed land in the sacred House of Allaah. It is a kind of food and cure. These are the curing prophetic medications from which those who accept them and believe in their curing effects benefit. Sins close doors of knowledge. Islaam has forbidden being in seclusion with a strange woman for the purpose of medical examinations and the like. Muslims should therefore follow the injunction Islaam in everywhere. Conversely, obeying Allaah opens doors of knowledge, spiritual upliftment and perfection of deeds. The patients as well as medical personnel should move closer to Allaah for removal of the afflictions; for when the trials becomes severe, none removes them but Allaah. Keeping away from Allaah and disobeying Him in times of bliss are among the causes of misery. Whoever perseveres and is contented, Allaah will keep for him what is greater. Remember also that, what Allaah afflicted you with is only to purify and elevate you and that, what Allaah endows you with of favors are manifolds of what He takes from you. Showing anguish does not cure the illness but aggravates it. If you are afflicted with disease, praise Allaah that you were not afflicted with more than that. Supplicate to your Lord in seclusion and do not forget the remembrance of Allaah as a way of thanking Him for His abundant gifts. No situation is uglier than when man repents to Allaah in affliction and then becomes a sinner during time of bliss. When you start recovering from your illness, know the estimation of Allaah’s blessing on you, hold on to good relationship with your Lord and be always conscious of Him in times of bliss; He will know you in your times of hardship. Fellow Muslims! One of the best ways by which man treats his illness is to search his heart, to reform it and to strengthen his soul by relying on Allaah, seeking refuge with him, humbling himself before Him, giving alms, invoking Allaah, returning to Him in repentance, doing good to people, aiding the wronged and relieving the distressed. Ibn al-Qayyim said, “May Allaah have mercy on these medications. Many nations have tried it regardless of their religions and beliefs and found it to be very effective in healing what the doctors could not heal. And we and others have also tried these things on many occasions and found that they achieved what physical medications could not achieve”. Recently scientists around the world have confirmed the anti-bacterial and anti-mycotic effects of black seed oil. Health practitioners in various countries around the world are using the oil against inflammation of all sorts as well as fungi infections. Even a remarkable reduction of blood sugar levels has been found by scientists. Black seed extracts have been found help to stimulate bone marrow and immune cells, so writes the scientists of the cancer Immuno-Biology Laboratory and adding that it raises the interferon production, protects normal cells against cell destroying effects of viruses, destroys tumor cells and raises the number of anti-bodies producing B cells. All these functions make the black seed oil the ideal candidate for the prevention and treatment of cancer. Scientists are now busy finding the effects of the black seed oil in regard to various other human health conditions. Dr.Med.Peter Schleicher, an immunologist, in Munich who in 1986 happened to be nominated the youngest member of the World Academy of Scientists, examined black seed oil in his institute to find new therapies for chronic illness and its effect. His findings are identical to those in previous studies by earlier researchers. Schleicher says, by using black seed oil, valuable unsaturated fatty acids, for example Linoleic and Gamma-linolenic acids, get into the organism. By that it is possible to reach a synthesis of important immune regulating substances derived from Prostaglandin E1. Linoleic acid stabilizes the cell membranes and Prostaglandin has the effect of inhibiting inflammation. By that the immune reactions are stopped which cause the illnesses and which otherwise could be the start of many many chronic illnesses like acne and hay-fever right up to cancer. In addition, the excessive T-cell function of the person suffering from allergies are stabilized through the substance in black seed oil and the abnormally rising immune reactions through suppressed anti-bodies. The excessive immune system is normalized and the large cell degranulation decreased. Studies also testify that an immune system which has gone wrong can again be regulated by the strong effect of the oil. Schleicher, meanwhile, has tested the effect of the oil on 600 patients. As a result he confirms the cure for allergies at about 70% of the patients. Amongst them are allergies against pollen and dust, acne and neuro-dermatological illnesses, asthma patients, etc.. who generally have a weak resistance and are prone to suffer from infections. For that reason Dr.Schleicher in Munich is going to include the oil with his preventative treatment against colds and influenza. In the Middle East and South Asia, this oil has been used for thousands of years as a remedy for all sorts of allergies, inflammation and menstruation problems, boosting moral, depression; but especially against bronchitis, asthma and neuro-dermatitis as well as poor digestion and even impotency. The Prophet Mohammad [sallallaahu alayhi wa sallam] stated in his "Hadith" that black seed oil cures every illness except death. No wonder then that a little bottle of the oil was even found in the tomb of the legendary Pharaoh Tutankhamen! In the West the effect of the oil has been used for a long time against wind, dysentery, stomach and lung disease, jaundice, diuretic problems and to increase nursing mother's milk. Due to the triumphant advances in chemistry the oil has been forgotten until recently. According to Dr. Schleicher the reason why this oil is so exceptional is that its component parts act in unison to produce an optimum effect for so many complaints. But one has to make sure that only the pure and tested oil is being used. Schleicher's colleagues have reacted very positively after the publication about his success with patients who have used the oil. Professor G. Rietmuller, Director of Institute for immunology at the University of Munich believes that this plant extract works positively on the immune system and could be used as a bio-regulator. Professor Michael Meurer of the Dermatology Clinic in Munich has for a long time been convinced about the success of this oil. From his experience the oil help stop inflammation and helps with neurodermitis. At the International cancer Congress in New Delhi last Autumn the anti-tumor effect of black cumin oil has been introduced to many scientists and doctors. “If you wish to upset the laws that all crows are black, it is enough if you prove one single crow to be white.” William James"
Suppose for a moment that you grew up in South Georgia. You may not know everything, but one thing that you do know is that crows are black. Then one day, a small boy arrives at your door carrying a cardboard box. Inside the box, he says, is a crow that he trapped while it was feeding in his grandfather’s cornfield. He offers it as a gift. Not wanting to be rude, you stoop to peek inside the box, thinking “Just what I need, another crow to feed!” and see something that you know cannot be true. This crow is white. As you open the box to examine this impossibility, the crow flies away. You are left with two choices. You can become angry with the child, and refuse to believe what you saw. Everyone knows all crows are black. There is no sense in believing otherwise. Or for the rest of your days, you may scan the skies when corn ripens in the fields, secure in the knowledge that there would be no reason for the Creator to make only one white crow. I am a seeker of medical white crows. Those small instances where I find that the veneer of hard science can become rippled and cracked, exposing evidence for which we have no explanation. Episodes where I am confronted with medical information that can be viewed either as impossible and implausible, or with amazement and wonder, depending upon your perspective of the universe. Sometimes white crows sneak into my exam rooms, borne as gifts from my patients. Such as the story an elderly woman whispered to me of how her brother was saved from his burning home by a young, radiant stranger who appeared silently in his kitchen, warned him of the fire, then led him to safety through the smoky haze, never to be seen again. Medical white crows often arrive as international emissaries from other healing traditions. How can it be that by burning a small bundle of dried herbs beside a pregnant woman’s fifth toe, her breech baby can turn in her womb, avoiding the need for a C-section? The apparent success of Chinese moxibustion (the application of heated herbs at acupuncture points), for centuries derided as superstitious and primitive in our culture, was reported in the November 18, 1998 issue of the Journal of the American Medical Association. In my mailbox last week, masquerading as a scientific paper, I discovered a huge medical white crow. A Big Kahuna White Crow, the kind that makes you stay awake at night and wonder what is this thing we consider our body, anyway. Published in the November 2000 issue of Integrative Medicine, authors Pearsall, Schwartz, and Russek examined the startling issue of “Changes in Heart Transplant Recipients that Parallel the Personalities of Their Donors”. They propose that the heart contains information and memory, perhaps encoded as chemical messengers from the brain called neuropeptides, about it’s original owner that can be transferred to the heart recipient. Could it be that the heart remembers? A concept termed “cellular memory”, it is beginning to develop support within the scientific community. They interviewed 10 heart transplant recipients, their families and friends, as well as the family and friends of the donors. The recorded interviews sought to discover any changes in the heart transplant recipients that had not existed prior to the transplants, and whether these changes appeared to parallel personality traits, behaviors, and preferences of their donors. In all cases, changes were observed and recorded before any contact was made with donor families, and were corroborated by more than one observer. Among all 10 recipients, 2 to 5 changes mirrored the donor’s characteristics, often in a striking manner. In one case, a 17-year old black male’s heart was donated to a 47-year old white man. The donor loved classical music and played it on his violin. The recipient’s wife described her husband as someone who never listened to classical music. Moreover, she described him as a person who had been uncharitable towards people of other races. After the transplant, he began to listen to classical music for hours, and invited his black co-workers over to his home, which he had never done before. One 5-year old girl recognized the never-before-seen father of her donor in a shopping mall. She ran to him, called him “Daddy”, and climbed into his lap. A 56-year old man was able to describe the method by which his donor was murdered, and describe the face of the murderer. Other patients drastically changed food preferences, such as the male recipient who prior to the transplant loved meat, but became nauseated by meat after receiving the heart of a vegetarian woman. The authors conclude that all of these changes could not have been merely coincidental, and acknowledge that more research is needed to see just how the heart remembers. Meanwhile, it will do no harm to continue to scan the heavens, keeping our viewpoints open. Somewhere, in the world must live another white crow. "...Indeed there is in the body a piece of flesh which if it is sound then the whole body is sound, and if it is corrupt then the whole body is corrupt. Indeed it is the heart." Prayer can cause recovery from the pain of the heart, stomach, and intestines. There are three reasons for this. First, it is a divinely commanded form of worship. Second, it has a psychological benefit. This is because prayers divert mind from the pain and reduce its feeling whereby the power to repel [the cause of] pain is strengthened. Expert doctors try all means to strengthen this [natural] power – sometimes by feeding something, sometimes by inspiring hope, and sometimes by inspiring fear. Now, prayer [with concentration] combines most of these means of benefit, because it at once instills fear, self-effacing humility, love [of God], and remembrance of the Last Day." SEPTEMBER 1998- Thus wrote the 14th century traditionalist and historian Abu `Abd Allah Muhammad al-Dhahabi in his Kitab al-Tibb (Book of Medicine). This emphasis on what can be termed "holistic medicine" in modern parlance – involving the spiritual, psychological, physical, and moral aspects of being – is the essence of Islamic medical tradition which traces its foundation to the revealed Book of God, the Qur'an, and to the Hadith, the sayings of the Prophet of Islam. This integrated approach is not specific to health only; in the Islamic world view everything – including the heavens and the earth and all that is in between – is seen as a manifestation of the creative aspect of God to Whom everything, living or non-living, submits. At the heart of this worldview is the concept of Tawhid, the Unity of God, embodied in the first part of Shahada, the testimony of faith: La ilaha illa'Llah ("There is no god but God"). Everything in Islamic civilization, including the health sciences, has sprung forth from this fundamental statement which is an expression of the transcendence of divine unity. This consciousness of the oneness of God is placed at the center of the Islamic worldview so as to act as a directing force which draws to itself all levels of manifest reality in the cosmic plane. To proclaim that there is no god but God is to testify that there is an essential unifying principle behind the apparent multiplicity of the universe which, in Islam, is not restricted to merely the observable and perceptible reality but goes beyond to the realm of the Unseen. Because God alone is the sole arbitrator of everything that exists, both health and sickness are viewed as coming from God. "There is no disease that God has sent down, except that He has also sent down its treatment," says a famous Hadith (saying of the Prophet). God who has created sickness has also created treatments. The famous verse (16:69) of the Qur'an about honey is an example of the Divine design in creation: "And thy Lord taught the Bee to build its cells in hills, on trees and in [human] habitations; then to eat of all the produce [of the earth], and follow the ways of Thy Lord made smooth: From their bellies comes a drink of different colors wherein is healing for mankind. Verily in this is a sign for those who reflect." Scientific research teaches that the process of healing involves the physical as well as the spiritual and psychological domains of human existence. The tradition of spiritual healing in Islam is based on the recognition of the effect of spiritual health on the physical body. The body itself is seen as a mere receptacle for the spirit, which alone constitutes the immortal part of human existence. The body is healthy if the spirit is healthy, and the spirit is healthy if it is not in conflict with the Divine Writ. The submission of the spirit to the Divine commandment produces a harmony in the soul and body which makes all the limbs and organs function properly. Rhazes (c.251/865-313/925), whose treatise on measles and smallpox is well known in the West, used to treat the maladies of the soul along with those of the body. In his book on the relationship of soul and body, translated into English as Spiritual Physick, he devoted 20 chapters to descriptions of various illnesses that beset the body and soul. Avicenna (370/980-428/1037), honored in the West with the title of "Prince of Physicians," the author of the monumental Canon of Medicine (al-Qanun fi't-Tibb), is known to have practiced the art of healing with the help of spiritual guidance. The Book of Healing (Kitab al-Shifa), Avicenna's second most important work after the Canon, presents a unique synthesis of the Greek, Persian, Indian, and Islamic practices of healing. Avicenna based his system of medicine on the equilibrium of the four humors (following Hippocrates): blood, phlegm, yellow bile, and black bile. These four humors were then related to the four elements (fire, air, water, and earth) of the natural world. Avicenna believed that the human spirit has been constituted with the power of restoring balance in the body, and that the task of medicine is merely to aid this process. The process of regaining health is, therefore, greatly facilitated by the use of practices which produce spiritual healing. There is in the Hermetico-alchemical natural philosophy – which was always closely tied to medicine in Islam – a basic doctrine of the correspondence between all the various orders of reality: the intelligible hierarchy, the heavenly bodies, the order of numbers, the parts of the body, the letters of the alphabet which are the "elements" of the Sacred Book, etc. In Avicenna's medical theory, the human body is composed of three units: the Physical system, the Nervous system, and the Vital system. The Vital system conditions and suitably prepares the Vital Force for the sensory and motor function of the brain. This system is centered in the heart and functions through it. The human body, according to the Islamic world view, is a weak vessel made of clay (Qur'an: 55:14), a frail material covering, enslaved by the carnal woes. Within the body, the heart is the seat of knowledge and consciousness. It is a lump of flesh, placed in a central void, a regular oscillation – from which flow all emotions and causes of actions. If the heart is sick, the whole body is sick. Healing through supplications, prayers, and fasting is a well-established tradition in Islam. This is based on the fact that in Islam, humans are viewed as entities in which body and soul are united. The soul has its own maladies (like forgetfulness of the Divine presence, greed, jealousy etc.) and the body has its own ailments but both are combined in one living entity: the human being. Both act on each other and through each other. This unique integration of body and spirit is then linked to the rest of the universe through an elaborate system of levels of reality reaching up to the Divine presence. "The best gift from God to mankind is good health," Prophet Muhammad once said. "Everyone should reach that goal by preserving it for now and the future." The fact that both health and illness are seen in Islam as coming from God has closely linked the art of healing to worship. The one who practices the art of healing does this for the sake of God’s pleasure. The physician and the patient are thus united through a spiritual bond. According to a Hadith, God will say on the Day of Judgment: "O Son of Adam, I was sick but you did not visit me." "My Lord! how could I visit you when You are the Lord of the whole world," we will reply. God will say: "Did you not know that so-and-so from among my servants [i.e. human beings] was sick, but you never visited him or her? Did you not know that if you had visited, you would have found me there?" This high consciousness of the Divine, and the spiritual benefit of visiting the sick, is further elaborated by another Hadith-e Qudsi (a narration in which God speaks directly, but the words are attributed to the Prophet) in which God says: "O my servant! Health unites you with yourself but sickness unites you to me." Rhaman, Fazalur, Health and Medicine in the Islamic Tradition (New York: Crossroad, 1987). Nasr, Seyyed Hossein Science and Civilization in Islam, second ed. (Lahore: Suhail Academy, 1987). Therefore after lying to ourselves, we set up an inner conflict - between heart and mind. In order to contain that conflict the mind sends signals to glands for secretion of harmones like adrenaline which leads to rapid heart rate, perspiration, tremor, the basis of lie detector test.